Chemical reactions happen unbelievably fast. In fractions of a millisecond, electrons jump from one atom to another. Classical chemistry cannot keep up with this: neither can every step of a reaction be unveiled experimentally, nor can calculations based on classical physics simulate these fast and complex processes. Due to the pioneering research of Michael Levitt, together with Arieh Warshel and their Harvard colleague Martin Karplus, it’s now possible to have the classical Newtonian physics work side-by-side with simulations based on quantum physics. Previously chemists had to choose. If they used classical physics, their calculations were simple and they could model large molecules. The downside was: chemical reactions couldn’t be simulated, especially not in the 1970s when this ground-breaking research was conducted. To simulate these reactions, chemists had to use models from quantum physics, meaning that every electron, every atomic nucleus etc. was accounted for. But these calculations require enormous computing power, meaning that their application was limited to really small molecules. Nowadays, chemists apply the demanding quantum physics calculations only where they are needed: at the core of the reaction, also called the reaction centre. The rest of the molecule in question is modelled using classical physics. Taking into account that computers were infinitely slower in the early 1970s compared to computer speed today, Levitt and Warshel reduced the calculations even further: they merged several atoms in their model. In his autobiography on Nobelprize.org, Levitt comments: “How we dared to leave out 90 percent of the atoms is an interesting story.” Obviously, they reached “the right level of simplicity” with this approach: neither too complicated, nor so simple that the model would be meaningless. But how did a shy young boy from South Africa become a world-class biophysicist? Of course, most of his success is due to his great intellectual talent. But his fierce perseverance also helped, as did many lucky coincidences. Let me give you three examples of the latter. First of all, he had an aunt and uncle in London who were both established scientists: His aunt Tikvah Alper found that the infectious agent in Scrapie, a degenerative sheep and goat disease, did not contain nucleic acid. This finding was important in understanding the mechanisms of all forms of transmissible spongiform encephalopathy, like Creutzfeldt-Jakob disease in humans. Max Sterne, her husband and Levitt’s uncle, developed an effective and safe vaccine against anthrax in South Africa that is still used today. When young Michael Levitt visited them in London in late in 1963, he couldn’t help but become interested in life science. He later became one of the pioneers of computational biology; he first learned how to programme in Fortran during an internship in Berkeley that his aunt had organised for him a few years later. 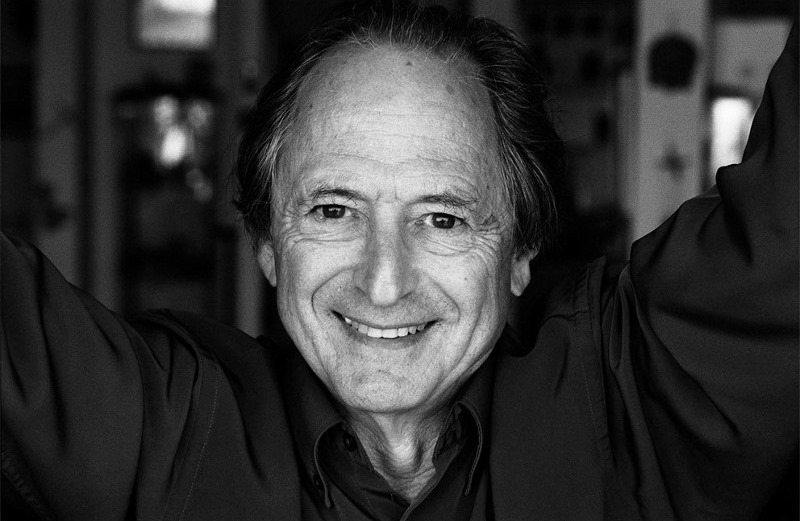 In 1963, Michael Levitt was only sixteen and had already studied several months at Pretoria University. He spent the first few months in London “glued to [his] uncle and aunt’s TV set watching the Winter Olympics,” because he had never seen snow, and there had been no television in South Africa. But the BBC series “The Thread of Life” by Nobel Laureate John Kendrew, who had been awarded the Nobel Prize in Chemistry only one year earlier, made an even larger impression. For young Levitt, this was “a remarkable introduction to molecular biology”, because it had become clear just a few years earlier “that life was highly structured in space and time, just like a clock, but a billion times smaller and infinitely more complicated.” Already at this young age, he became fascinated by the role modern physics could play to elucidate biological processes. In order to be admitted to a good British university, he had to pass A-level exams, his South African matriculation exam wasn’t sufficient. He chose to study at King’s College in London, where the tradition of biophysics was strong. After his first degree, he wanted to pursue a PhD at the Laboratory of Molecular Biology (LMB) in Cambridge. So he wrote to John Kendrew – only to get rejected. Michael Levitt persisted, asking to join LMB a year later, again without a clear result. But Levitt didn’t give up, put on his Bar Mitzvah suit and waited outside the offices of John Kendrew and Max Perutz, also a Nobel Laureate of 1962. The latter came out first, talked to Levitt and promised to consider his request. Finally, he was accepted as a doctoral student for one year later. But instead of the world trip that Levitt had imagined, he was sent to the Weizmann Institute in Israel to learn more about the force field method from Shneior Lifson, an important theory behind the computer modelling of large molecules, not to be confused with the force field in classical physics. Being sent to Israel, after persevering in Cambridge, was the second lucky coincidence. As Levitt himself writes, his first year in Israel was “the real watershed” of his life: in only ten months, he laid the foundations both for a successful career in science and for a happy family life. Together with Arieh Warshel, another student and later co-recipient of the 2013 Nobel Prize, he wrote the computer programme that used the force field method to calculate properties of molecules. And Michael Levitt met his wife Rina only weeks after arriving in Israel, and they got married before he left again for Cambridge in August 1968 to finally pursue his PhD. A biologist by training, Rina Levitt later became an accomplished multimedia artist. The third lucky coincidence happened in the mid-1980s, many years, numerous ground-breaking findings and publications later (and after moving back to Israel, then back to Cambridge, etc. ): Rina and Michael Levitt where attending a private cocktail party in Cambridge, Massachusetts, when Nobel Laureate Roger Kornberg called and heard that they considered leaving Israel. Kornberg immediately suggested that Michael should come to Stanford – where he has been since 1987, and still is. “My dominant memory of coming to Stanford was how easy everything was. It seemed as if we had grown up on Jupiter and then moved to the Earth’s gravity.” Levitt founded his first research group and his first company, his eldest son attended Berkeley. A few years later, his wife and sons moved back to Israel so that all three boys could complete their military service. Levitt himself was “mainly in the air between Israel and Stanford” during this time. His wife moved back to Stanford, but a few years later left for Israel again to spend more time with their first grandchild. “Just when I thought things could not get any better, I was woken at 2:16 AM on the morning of 9 October, 2013,” he remembers. 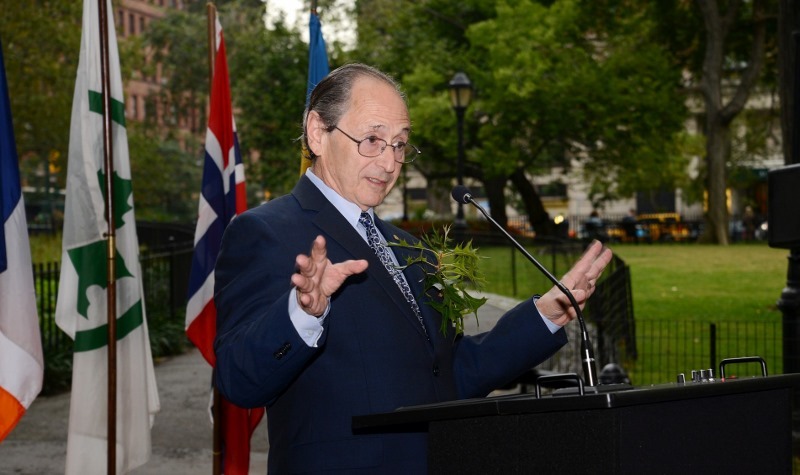 Levitt had said to himself many times that “No one should expect the Nobel Prize,” so the call from Stockholm came as a great surprise. We sincerely hope that Michael Levitt will be able to attend a Lindau Nobel Laureate Meeting in the coming years.